Saves against human error, data theft or compliance issues. 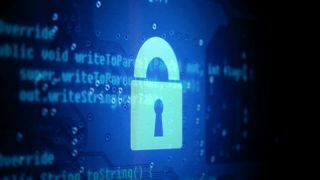 Organisations are turning towards encryption to keep their data safe, new reports from Thales are saying. The critical information systems company issued its 2018 Global Encryption Trends Study, based on a poll of more than 5,000 people across multiple industry sectors in the United States, United Kingdom, Germany, France, Australia, Japan, Brazil, the Russian Federation, Mexico, India, Saudi Arabia, the United Arab Emirates, and Korea. According to the report, 43 per cent of companies have set up an encryption strategy, which helps them defend against cyber-attacks, comply with complex requirements and guard against human error. Thales is saying this encryption is achieved either with software solutions, or hardware ones. Almost nine in ten (84 per cent) use the cloud for sensitive apps and data, while close to two thirds (61 per cent) are using more than one public cloud provider. Almost four in ten (39 per cent) encrypt information stored in public cloud services, too. Thales is saying these figures are “encouraging”, but challenges are still ahead. The biggest challenge is data discovery. Companies in the EU have plenty of issues ahead, which Thales attributes to the upcoming GDPR. “While enterprises are rightfully encrypting cloud-based data, 42 per cent of organisations indicate they will only use keys for cloud-based data-at-rest encryption that they control themselves,” said Dr. Larry Ponemon, chairman and founder of The Ponemon Institute.